On August 23, 2014, Bryan Blackford was racing at Andersen RacePark in a 3-hour kart endurance race. While Bryan was leading, his kart exploded into a ball of flames. After quickly stopping the kart, and throwing himself out of the fire, Bryan was able to roll on the grass to put the flames out. He was airlifted to Tampa General Hospital with 3rd degree burns on his back and arms, and a shattered right elbow. The burns extended the length of his entire back, and his elbow was in 8 pieces. Doctors said he would need to stay there for approximately 1 month. The doctors at Tampa General said that Bryan was going to need skin grafts, and that he had no other options. He would also need surgery on his elbow. Bryan agreed to move forward with the elbow surgery, as that was critical to get fixed, either to put in an artificial joint, or to potentially put the pieces back together. The surgery was successful, and ultimately didn’t need an artificial joint. 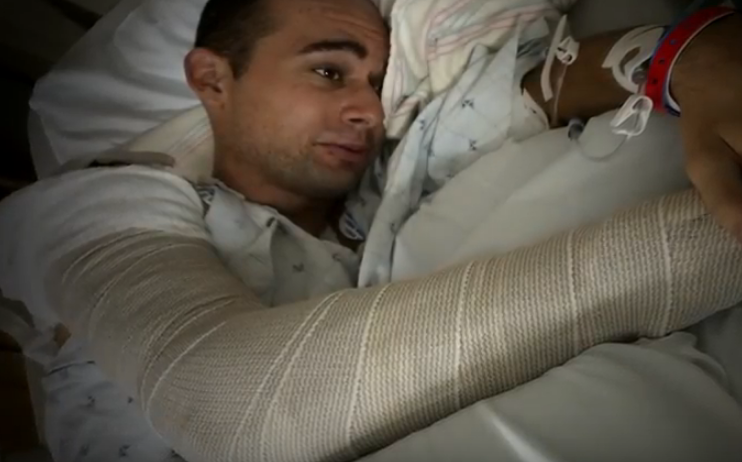 Bryan refused pain medication, which made for an extremely painful experience. 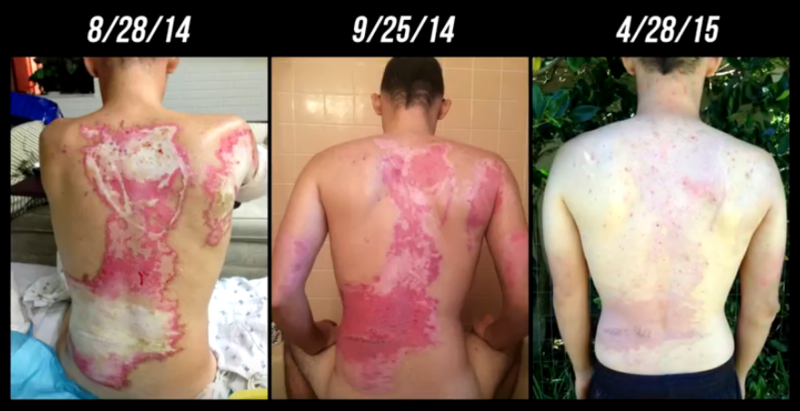 He refused the surgery for skin grafts, and was hoping to see his body start to repair itself. Because he was able to refuse the pain medication, he was eventually granted permission to leave the hospital after just 3 days. Bryan had been a patient of Dr. Cole and Vital Solutions IV Nutrition in the past. He was seeking a completely natural route to recovery. Bryan was instructed to eat a lot, especially a lot of protein. He knew IV was an excellent way to get nutrition he needed, so he went in to see Dr. Cole for daily IVs. In addition to IV Nutrition, he also did acupuncture, and used manuka honey, aloe, and other natural topicals to put on his burns. Along with a healthy diet, Bryan was able to make a quick, and stunning recovery as seen to the right. IV Nutrition played the single biggest role to Bryan’s recovery. With high-dose Vitamin C, Bryan was also able to avoid getting any infections, which is really common with burn victims. To the amazement of doctors at Tampa General, in just a few short months, Bryan’s body was able to heal the burns without skin grafts. IV Nutrition proved to be a critical factor in his rapid recovery, and his body was given the resources it needed in order to heal.